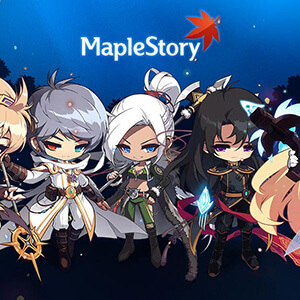 MapleStory is a free-to-play, 2D, side-scrolling massively multiplayer online role-playing game. In the game, players travel the "Maple World", defeating monsters and developing their characters' skills and abilities as is typical in role-playing games. Players can interact with others in many ways, such as through chatting, trading and playing minigames. Groups of players can band together in parties to hunt monsters and share the rewards and can also collaborate forming guilds to interact more easily with each other.